Social media has been buzzing with news about bitcoin, but what is it and what are the drawbacks of buying bitcoin? Gold, silver, dollars, euros—these are different kinds of currency known and used throughout the world. Now, in the age of the technological boom, we have a new kind of currency: Digital currency, or bitcoin. No one is entirely sure of the power of bitcoin yet, as it is still a relatively new addition to the world financial market (c. 2009). Because of that general uncertainty and unfamiliarity with bitcoin, it's important you know as much about it as possible—including how to avoid being ripped off. Here's the lowdown on what bitcoin is, how it works, and what the drawbacks of buying bitcoin are so you don't become a sucker. Bitcoin is digital money. Think of it like online banking or PayPal. When you move money from one account to another online, you're not moving the actual paper, but you are still moving the value. That's basically what bitcoin is, except it has its own numeric value and a few of its own rules. Still, you can use bitcoin to buy and sell things on the internet just like you would with dollar bills. Learning the drawbacks of buying bitcoin requires you to learn how bitcoin actually works. The two most important things to know about bitcoin is that it is anonymous and it does not pass through a centralized banking system. Again, we're going to use an imaginative exercise to illustrate how it works. Let's say you have a box and you put real coins inside that box. Then, because you want to buy something from someone, you hand them the box. But you don't bother exchanging names or information—you just do the trade. That's how bitcoin works. You don't go through any official banking channels, like Bank of America or TD Bank, and unlike regular online shopping, you don't exchange real names or account information. However, the currency and goods are still bought and sold just like real money. Doing a bitcoin exchange is like doing any other type of monetary exchange. If you're traveling from the United States to France, you will want to exchange dollars for euros. If you want to do anonymous financial transactions on the internet, you're going to want to exchange your dollars for bitcoin. There are several online bitcoin apps and servers that allow you to do this, such as eToro and Coinbase. Bitcoin can be used for buying and selling goods and services, and it can also be bought and sold. For example, one can use bitcoin to buy dog treats or plane tickets, or one can use bitcoin as an investment. When you buy and sell bitcoin, it's essentially the same as buying and selling stocks, except these transactions don't go through Wall Street. People buy bitcoin hoping that its value will increase. When it does, they will sell the bitcoin to get more cash than they initially put in. What that means is that the value of bitcoin is never the same. In fact, what a bitcoin is worth can drastically change in a very short amount of time. This is where the part about the drawbacks of buying bitcoin comes in. What kinds of bitcoin scams are out there? Some of the bitcoin scams out there are the same that come with any type of money scam, such as phishing or ponzi scams. In this case, spotting the drawbacks of buying bitcoin becomes just like spotting any other kind of financial fraud. A phishing scam is one that will go out of the way to contact you, like emailing you with false information or posting a false advertisement to get you to click. In a ponzi scam, the scammer will try to get you to invest your money with them with false promises of doubling or tripling your return in a short amount of time. They will also often try to get you to invite friends to the site via URL. Those are traditional types of scams. One that might not be on your radar is the cloud mining scam. Basically, it's a way of getting several people to pool their bitcoin funds to so they can collectively mine bitcoin. (Bitcoin mining is a process of making bitcoin transactions secure, for which miners receive a certain amount of money.) If it's real, it could be a great payout. If it's a scam, you could seriously lose out. How can I get caught in bitcoin scams? The less you know about bitcoin, the easier it is for you to get caught in a scam. If you're trying to figure out the drawbacks of buying bitcoin, you should be well-versed enough in the digital marketplace and in financial concepts to know when you're being played. Don't jump on the bitcoin train just because you read on social media that it's a great new way to make money. Know what you're doing before you put your money at risk. You should also do thorough research on any company or server you're planning on doing bitcoin business with. If you're unsure of where to look, ask your friends or other people who have successfully traded bitcoin before. Honestly? No one really knows. As one of he newest developments in the financial market, it is both exciting and unstable. As mentioned earlier, bitcoin value soars and plummets rather quickly, and no one really has a firm handle on how it all works or what its flaws are yet. Because it is such new financial territory—and because it's the internet—there is the potential for hacking and other unknown developments. As years go by, hopefully we'll all have a much firmer grasp on the drawbacks of buying bitcoin and how to make profitable investments in bitcoin. How can bitcoin benefit me? If you remember the stock market crash of 2008, then you'll know how much distrust there is now when it comes to having big banks manage your money. Bitcoin was created to be anonymous in large part to avoid those big banks and the government that supports the system. A rule of thumb is to never place all of your financial assets in one place, so investing in bitcoin could be a useful option. What does bitcoin mean for the future economy (and my place in it)? Bitcoin is definitely the new financial frontier. How it will play out in the next five, ten, or 20 years is still up for speculation. 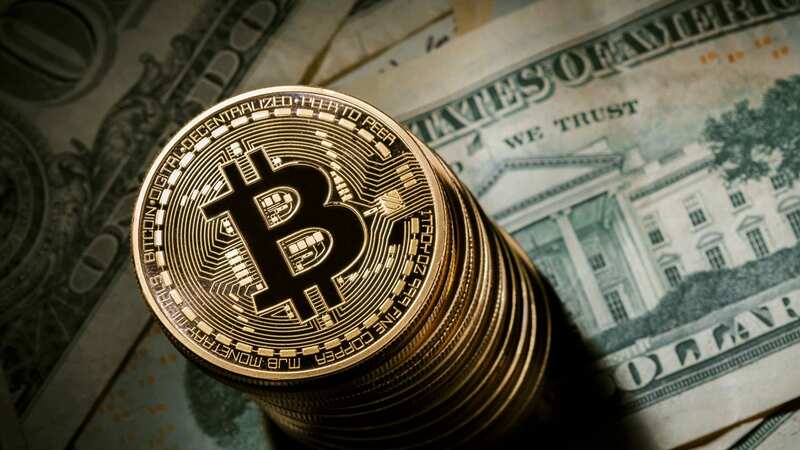 But as the world shifts its attention to a bitcoin economy, one thing is for sure: You need to educate yourself on what it is, how it works, and most importantly, what the drawbacks of buying bitcoin are to keep you and your assets safe.